I think it’s both important and fascinating to learn about the fundamentals of the medium we all love, and one of the most critical questions is: how is anime made? For me, especially recently, that’s been a burning question that I ended up researching in detail. For the sake of other anime fans with the same question, I thought I’d share my findings. So, if you want ammunition to return fire the next time you find yourself caught in an argument about the merits of anime, or want a fresh way to look at anime, I hope this article will be useful. Over the last year or so, my increasing interest in this side of things has really opened my eyes to the talent, artistry, passion and beauty that can be found in Japanese animation. The article will focus on TV-anime production, but the same general process applies to movies and OVAs as well. That said, there can be a lot of variation between studios and individual productions. This process depends on who’s pushing for an idea and who is backing it up, it can be animation studios themselves along with sponsors, but many anime are adaptations of manga or light novels, in which case, publishers front costs (including the costs of having it shown on TV stations). The production company (e.g Aniplex) gathers staff, sponsors, and looks at advertisement and merchandise. While many people describe studios as being cheap, only around half the budget is often given to the anime studio, with the rest going to broadcasters and other contributing companies. The broadcast costs are surprisingly high – according to blogger, ghostlightning – at about 50 million yen for a late-night timeslot across 5-7 stations for a 52 episode series. You can see why anime can be an expensive business. For example, Full Metal Alchemist, which had a 6pm Saturday slot had a total budget of 500 million yen (before additional costs). When the core staff is arranged, they meet and plan out the anime, work on series composition (how the anime will play out across each episode/over the course of the series), and select further staff such as character or mecha designers. One of the most crucial core staff is the director. To understand the role of directors, you could think of them like directors of a movie, but instead of dealing with actors, they deal with the animators who make the characters movie. Their involvement is generally to attend meetings and make decisions in order to manage the schedule, budget and quality of an anime. Following the early panning sessions, designs (character, mecha, costume, etc) are then created. Designs are obviously an important factor in creating a good anime. Character designers either have the task of simplifying manga/illustration designs so that they are suitable for animation, or, in the case of an original anime, coming up with a new set of characters based on descriptions from the director/producers. Character designers often continue to advise animation directors on corrections to animation that should be made to stay close to their character models (in which case they are generally credited as Chief Animation Director for the series). Once the story and designs are mapped out, the first episode is tackled. The first step is to write the episode scripts. Following the episodes synopsis/plans, the full scripts are written, by either one person for the whole series or by several different writers based on the outlines from the overall script supervisor (staff credit: series composition). The scripts are reviewed by the director, producers, and potentially the author of the original work before being finalised (after 3 or 4 drafts, often). The episode director, supervised by the overall director then takes this backbone of the episode and must plan out how it will actually look on screen. While the director has the final say and is involved at production meetings, the episode director has the most hands-on involvement in developing the episode. This stage is expressed as a storyboard (a visual script), and the storyboard marks the beginning of actual animation production. Often the storyboard is created by the director, this means an episode is truly the vision of that director. 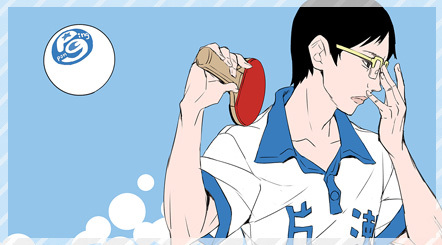 But usually, mainly in TV-anime, separate storyboarders are used to actually draw them. This is because storyboards usually take around 3 weeks to do for a normal length TV-anime episode. Art meetings and production meetings are held with the episode director, series director and other staff about the episode should look. Storyboards are drawn on A-4 paper (generally) and contain most of the vital building blocks of an anime – the cut numbers, actor movements, camera movements such as zooming or panning, the dialogue (taken from the screenplay) and the length of each shot (or cut) in terms of seconds and frames (which we’ll explain later). Because the number of drawings available for an episode is often fixed for the sake of budget management, the number of frames is also carefully considered in the storyboards. The storyboards are roughly-drawn and are really the core stage of deciding how an anime will play out. Cuts refer to a single shot of the camera and an average TV-anime episode will usually contain around 300 cuts. More cuts don’t necessarily imply a better quality episode, but it will generally mean more work for the director/storyboarder. Example storyboards from To Aru Kagaku no Railgun. Anime storyboards have 5 columns. From left to right: the cut number, the layout, the action, the dialogue, and finally, the running time (in time and frames). The layouts are only drawn roughly, because they are handled by other artists in the next step of production. Less well known is the layout process, which marks the beginning of art production. In simple terms, developing a layout is about positioning the cels that will be used in the cut and the background art that will be needed, giving the definitive blueprint for how the final shot will look. The cuts are drawn up to the same size as the animation paper and the details of cel placement, precise descriptions of camera movement, and other decisions are included. In collaboration with the director, and possibly producers, the senior animators draw the layouts (or sometimes staff are specifically credited with layout drawings) and the shots are called about where the cels/characters are going to be situated and the way a cut is going to be framed. The basic structure of the background art is drawn in (ie. a tree here, a mountain there), and elements of the storyboard are expressed on the layout to help describe the cut. Sometimes multiple stages of the storyboard can be expressed on a single layout drawing as long as it isn’t too confusing. Cels are shaded in warm colours, backgrounds are shaded in cool colours. After being approved by the director, these layouts are then duplicated and given to the background department (who get the originals), and the key animators. The art director and assistants work on painting the background artwork based on the rough drawings of the layouts while the rest of the production process continues concurrently. Now the form of each cut has been decided – the positions of characters, the setting, what they’re going to do, and how the shot is going to be captured (camera angle, zooming and panning). But one of the most expressive and vital parts of production remains: the animation! 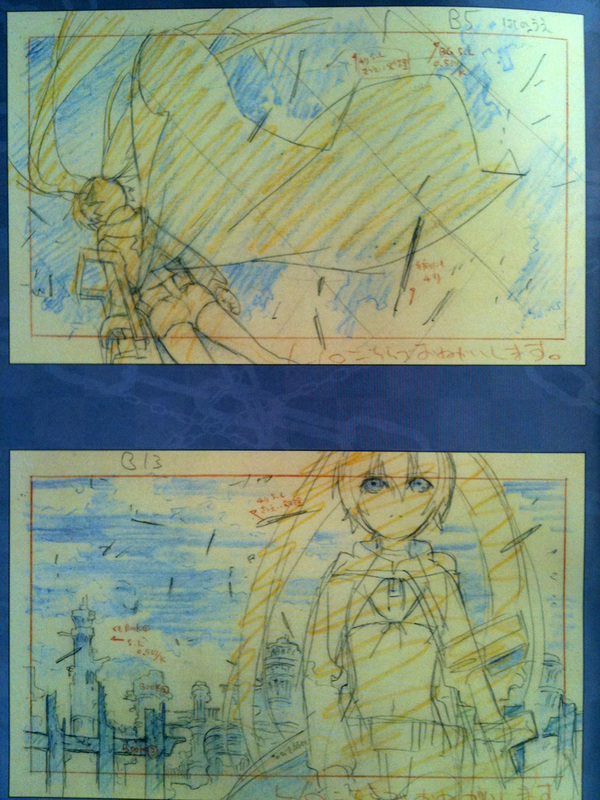 Black Rock Shooter Layouts. The cels are shaded a warm orange, while the background a cool blue colour. Based on the storyboard, the key animators start work, creating the animation drawings. They are assigned a certain number of different cuts by the person in charge of key animation. Key animators draw the essential frames that mark a distinct position or expression of a cel/character. For example, a character starting to kick someone as one key frame, and then the kick landing as the second key frame (if it’s a fast kick!). In other words, they draw the structure of the animation. The number of frames that a key animator draws for a movement will depend upon the intentions of the key animator and the nature of the cut, with time, and budget constraints considered. These drawings also include lines which direct where shading will occur. Around 20 key animators can be working on a single episode of anime, each in charge of a separate part (sometimes several cuts). Although it’s already decided what a movement will be, it is up to the key animator to express that as animation. That is why a talented and hard-working key animator can really steal the show, going well beyond the requirements of the storyboard and imbuing a scene with their own style. Some animators get the opportunity to deviate from storyboards as well (which the likes of Yoshinori Kanada was known to do, to great effect). 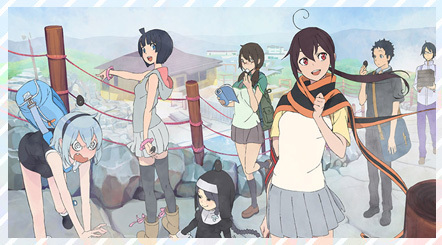 There is a subset of the anime fandom who are enthralled by great animation works and animators, ‘sakuga’ fans. Sakuga technically refers to the drawings in an anime, but is extended to describe the animation as a whole. People follow their favourite animators, and keep track of the cuts they do, also compiling them into anime or animator-specific music videos. The core of the sakuga online fandom is the ‘sakuga wiki’ (in Japanese), and a huge array of ‘sakuga AMVs’ can be found on youtube. Even a brief look over these videos inspired me with a real appreciation of the character and presence that individual animators can impart. I think this culture of appreciatimh outstanding key animation is one of the most fascinating arenas of the anime domain. But what about consistency? While emphasis on this varies from production to production, in general it is a good idea to make sure your characters look the same from one key animator’s portion to the next. This is handled by an animation director. This is one staff role that I suspect many anime fans haven’t learned about, because it’s not very self-explanatory. The animation director’s key role isn’t to ‘direct the animation’ per se (although they have varying levels of input depending on the person, studio and schedule). Their position is basically about consistency. They check all the key frames being created for an episode and make corrections where necessary so that the drawings are as close to the models for the series as possible. In some cases, they may have to redraw entire frames, or make adjustments to timing and movement (mostly, this happens for OVAs and movies). They are one of the four core staff positions for an episode (screenplay, episode director, storyboard, animation director). Key frames may also be checked by the episode director. Animation directors tend to be more experienced animators and are paid more for the role. However, it is their responsibility if things go wrong with the animation, making it a potentially very stressful job, especially under time pressure. Often, an episode of anime will have more the one animation director, and this can be a sign of scheduling problems, with more people needed to complete the episode satisfactorily and on time, or even a sign of many poor drawings needing correction. It can also be because animation directors are being used to their specialties (ie. 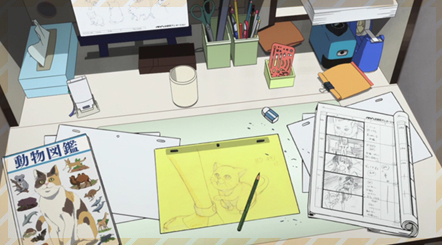 an animation director brought on to handle a mecha sequence, or to handle drawings of animals), or an indication that it was a difficult and demanding episode with a lot of drawings. Other than the episode animation director, anime nowadays have an overall animation director (generally also the character designer), who often works alongside episode animation directors to keep the character models consistent throughout the entire show. They generally focus on the faces of characters. Some series place less importance on this, or, as was the case with Noein, didn’t use a series animation director at all! We have our approved key-frames for a piece of animation, but now to complete the animation, so that it moves fluidly, more drawings have to be completed to go between the key frames. This is called in-between animation. In-between animation is handled by less experienced animators, and is very often outsourced (largely to Korea). In-between animation is paid more poorly than key animation, and is usually only a temporary position in an animator’s career. You could describe this as grunt work, because in-between animators don’t have a chance to imbue their work with individuality. They receive (particularly when it’s oursourced), clear instructions from the key animator about what the in-between animation should do, and simply fill in the gaps with drawings. They also have the task of neatly tracing the key frames. Often key animators, particularly famous ones, or for important sequences, will do many of the drawings themselves, to minimise the number of potentially inferior in-between frames. There are many examples of this, but one of my favourites is Yoshimichi Kameda’s sequence from FMA:Brotherhood in which Mustang is burning Lust, for which he did all the in-between frames himself. I doubt frames drawn by other people could have matches his impressive drawings for that scene! The in-between frames are also checked/corrected if need be. With the drawings from the key animators and in-betweeners combined, you have the ‘animation’ that goes into an anime! Gurren Lagann animation. Top: key animation drawings, middle: cleaned and in-between animation, bottom: final product, coloured and including background artwork. Generally, especially for TV, anime will be animated at 2:s, which means 1 drawing lasts for two frames (equating to 12 drawings per second), but sometimes animation is done at 1:s (24 frames every second) or 3:s. If every second of an anime was animated at even 2:s that would involve using around 15000 drawings for an episode! In reality, because many shots have cels as static, or because many scenes don’t necessarily require fluid movement, the average anime will have around 3000 frames/drawings. That’s still a lot of drawings! Often (especially lately), directors or producers will boast that their anime has “10,000 drawings for an episode!” or something to that effect, which is fairly impressive but doesn’t necessarily mean the episode is better. For example, apparently the first episode of Evangelion used only 700 animation frames, while Angel Beats used around 11,000 in episode one! A good director can work wonders with fewer frames using interesting scene compositions and shortcuts. Often, directors or studios will manage their budget by putting a limit on the number of drawings that can go into a single episode. Another core factor is the trade-off between detailed, consistent designs and more fluid animation. You can see how faster animation drastically increases the number of drawings required, and sticking to detailed character models can be expensive and time-consuming. Fluid animation is easier to do with simpler designs OR if the requirements for consistency are less strict. With fairly tight budgets, the anime medium has long been a struggle to balance these issues with shortcuts and compromises. This truth is the basis for a lot of attack on anime from Western animation fans, but the fact is, with skilled enough animators and the right project you can have your cake and eat it too! Anime has certainly produced some of the most detailed AND fluid animation sequences you’ll be able to find! It is commonplace for the frames to be completed on a computer. After they are drawn and checked, they are digitized. Once they are on the computer, they are painted with a specified color palette by painting staff (generally a low paid job). They use the shading lines drawn by the key animators to do the shading colours. This digital equivalent of the ‘ink & paint’ stage of production, which used to be done by hand, has allowed some more interesting visual styles to come through in the colouring, such as the use of gradient shading or even textures. These would have been too difficult to do back in the day. It has also saved considerable time and money in the process. These become the final “cels” that go into the animation. Once all the frames are coloured and finished, they can be processed as animation using a specialized software package. “RETAS! PRO” is used for approximately 90% of anime currently aired in Japan (for drawing sometimes too)! Before the use of digital ‘cels’ (digicels), drawings (printed onto cels) were actually filmed over backgrounds. Now, cuts are completed digitally, and the background art can be added on the computer. Initially, when digicel was first being picked up by studios (around about 2000), it had real problems matching the fineness of detail in hand-drawn and painted cels. But nowadays, anime studios have really perfected the digital cel, giving us anime with just as much detail and more vibrant colouring. The digicel age has now streamlined the production process such that repeated cels and clip/recap episodes are basically a thing of the past. Some still prefer the rougher look of pre-2000, but I’ve certainly moved on. While it doesn’t use actual film, the compositing process of adding background art and capturing the animation digitally is still referred to as “filming”. The CG characters and machines are also generally added to the composition during the filming stage. The use of 3DCG is also now common-place in anime now for mechanical things, like mecha, cars, or even background characters. Its role is expanding and becoming less and less intrusive. During compositing, the effects are also applied to the cuts. Effects! This might sound like a trivial thing when you’re talking about anime, but it can be a vital component of the visual style of a series because it incorporates basic things like ambient lighting, flare, backlight, the glint on a sword, blur, and many other things integral to giving depth and atmosphere to 2D drawings. Then there’s all the flashy things you’d usually think of when someone mentions special FX – magical attacks, explosions and the like. These are typically hand-drawn but then rendered with effect CG for their glow/shine. These effects can be simply added to the compositions using digital masking. The ease of this step now has resulted in one of the biggest distinctions between anime a decade ago and the anime of today. In short, the digital age of anime (in most cases) has meant several things: physically filming cels is replaced by computer-based composition of the hand-drawn frames/art, painting no longer has to be done by hand, and the more effective integration of CG and digital effects. All of these things have saved time and money, so that TV-anime now use many more drawings and don’t need to recycle cels or have clip/flashback episodes. After compositing is completed for all the cuts, they have to be to the timing required for broadcast, so that the episode doesn’t lag overtime. With the completion of the editing step, the episode moves out of production and into post-production. I won’t go into much detail on this, but it essentially encompasses adding sound (dubbing), both the music and the voice recordings, and final editing (cutting the episode with space for advertisements). Visual effects may also be added at this late stage too. Follow my blog, or just the sakuga tag! Hopefully this post provided a detailed overview of the animation production process that goes into anime, along with a general description of pre and post production! It’s important to remember that this is a description of your average anime. The truth is, approaches vary significantly between studios, production companies and directors. But I hope this gives a solid idea of some of the staff and production processes that are used. If you notice any errors in the post, can contribute any more detail on anything, or have any questions, please comment! In any case, I’d like to hear people’s thoughts and experiences on the topic. 248 replies to Anime Production – Detailed Guide to How Anime is Made and the Talent Behind it! First of all, fantastic article so far, like you I’ve also been reading up on the animation process and ran into that AIC website a few weeks a go. I can’t recall where, but I read that 2nd Key Animation is used on shows that are on tight schedules and so the Key Animators draw very rough frames, or few in number and the 2nd Key artists come along, clean these drawings up and fill in the blanks, though of course not filling all the blanks in as this is left to the Inbetween artists. So 2nd Key Animators are not as important as Key Animators, but they are not as menial as Inbetweeners either. Thanks! Appreciate the comment on 2nd Key Animation. Several other people have also confirmed what you said. Which software is used to make animation RETAS! PRO or something else? RETAS software is made by CELSYS, which now they introduced CLIP STUDIO PAINT in 2012. You should check the new one instead. Excellent post. This definitely went a long way towards filling the gaps in my knowledge about the process. I did honestly think that more of the process was digital (and it probably wouldn’t concern me if it was). Even back in the early 00s where CG stood out like a sore thumb and computer effects looked rough, I thought that, the more animators use the technology, the better and more seamlessly it would be implemented. The comparison between Evangelion and Angel Beats says a lot about how far anime has come. Technology will only improve. If it can take over more of the grunt work, then that means that talented animators can focus more of their effort on key animation and the parts of the process that are more open to creativity. thanks for commenting! Glad the post could be helpful. Hopefully soon enough more anime critics will put the effort into learning the basics of the medium they rant so much about and make informed critique. Amazing post. I really do need to thank you on all the information you provide me on the industry. It definately helps me stay on top of all my friends. Its really amazing how far the industry has come. It reall is nice to see how my favorite for of entertainment is made and the hardwork that goes into making it. I really can’t wait to see the industry evolve even further. Hopefully you continue to develop a strong interest in anime! I knew a lot of of this when I started reading (though you were right I didn’t really understand the job of a animation director) but I never really knew exactly how it fit together. This was awesome, thanks. Japan has had their own unique style of “limited” animation–which means making use of very few drawings to create fun movement–since way back in the 70s TV anime. It hasn’t really gone away. Second key animators clean up the rough frames drawn by a key animator. I haven’t noticed them a lot except for a few solo episodes here and there. Mitsuo Iso draw every movement in his legendary sequence in End of Evangelion, and is one of the animators in Japan known for doing that. That’s very true. The NHK documentary on Yoshinori Kanada showed him varying framerates back in old TV-anime to great effect! Anime is still a medium of limited animation, but, for TV-anime, it’s less so that before. You see a lot more frames in modern TV-anime. I’ve been seeing 2nd Key Animation quite a bit actually, which is why I mentioned it. It would be interesting to see when it started becoming used regularly as a staff position. wow great article thanks for it!! Wow, I also thought the process was more digital, having worked in a western animation (cartoons) studio where they used flash and illustrator for digital keyframing and character rigging. I had no idea that the in-between frames were actually hand drawn! I assumed they used tablets. Very informative! Haha I didn’t realize how much I’d pushed back reading this post until I saw the time stamp on the comments. Great job with this for sure, especially with all the details. I had a general idea of what was going on, but this guide definitely cleared up a lot of misunderstandings that I had about the process. I guess something that I’m still a bit fuzzy on is the difference between different types of “Directors” as they’re translated, but I get the feeling that it’s a bit more nuanced than that. I tend to notice this in SHAFT’s works more, where Shinbo is credited as 監督, whereas you have someone else credited as シリーズディレクター. The series director is relatively unusual, and the division of duty between the director and series director is not really well-defined and probably varies from production to production. It’s become common-place for Shaft to have Akiyuki Shinbou directing with a series director under him. I can’t help but think it’s a way for the director to get credit for doing less work, but it’s probably beneficial to have two directors working on the series. I think it’ll work well for the upcoming Idol Master anime, for instance. Question! From what you say, if an anime is from a publisher, usually they pay for it. If an anime is direct from the studio, the studio self-funds it. 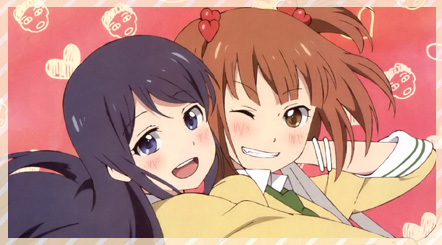 So for a show like Puella Magi Madoka, is SHAFT basically funding this “magical girl experiment” on their own? In the case of Madoka Magica, that is funded by the production company Aniplex. One of Aniplex’s producers who also worked with SHAFT on Bakemonogatari (sorry I can’t recall his name without checking it) basically got Gen Urobochi and Akiyuki Shinbo together to do this. SHAFT is one of the production companies though, as well as Nitro+. But for studios like GAINAX and Sunrise, they tend to put together their original anime themselves. You’d really need to look at it on a case-by-case basis though. 1. So the key animators draw the main sequences of movements and the in-between animation is just traced and rendered a little differently? 2. Do they have to draw a new picture every time their lips move? sorry about the clarity, I’ve been dying to figure this out? Hi . Wow.. I must have missed this. I’m sure you’re long gone, but for future reference I’ll attempt to answer the questions. 1. The in-betweeners do draw separate drawings for the gaps between key frames drawn my the key animators. They may also trace the key animation to make the lines clean before it’s digitised and coloured. 2. It depends, but generally, especially in TV animation – no. If the head or facial expression isn’t moving/changing, the drawings will be edited rather than drawn anew. 3. Even if it is only animated with 5 frames for a second, the anime is still broadcast/played at 24fps/29fps depending on whether it’s PAL or NTSC, so it really depends what you’re referring to when you say frames per second. I’m probably not in a position to go into too much detail about this. The second part of this question is similar to question 2. If (only) hair is blowing it definitely won’t be CG, but they would more than likely create a new frame by working from a copy of the previous frame. 3. Things such as hair, mouth, eyes etc are sometimes divided by layers (you should be familiar with concept if you used, say, Photoshop), so different objects are on different layers, and only layer with hair is animated. Even when drawing cels on paper, animator usually only redraws parts of frame that change, not entire frame. I would like to clarify some things about digital side of things, compositing and digital masters. Hope this is helpful for future reference to people who find this page via google or somewhere. Perhaps it can be included in main post if author wants to. In many discussions concerning anime some people tend to claim that new anime is not “HD” and “Old anime looked better”. Let’s have a look at an actual anime authoring process in modern production environment. First element of production process to become widely computerized was ink&paint, used in industry since at least mid 90-s, if memory serves me well last project to use traditional workflow in Production I.G. was Jin Roh, after it traditional ink&paint department was closed and Blood: The Last Vampire was inked, colored and composed on computer. However, to this day animators actually draw cels on paper, because it’s faster and more convenient for production team. After that, cel is scanned, colored and sent “filming department” (although no actual “filming” takes place nowadays, traditional name remains). While Retas Studio includes Core Retas (their proposed software for compositing anime), almost all studios actually use Adobe After Effects for this purpose, and compose cels, backgrounds, 3d and effects in it. Use of AE dates back to pre-2000s, and from 2000 onward it basically becomes an industry standard solution. So is modern anime actually “HD”? Let’s check numbers! Resolution of video on Bluray disc is 1920×1080 (1080p), however most anime is mastered in 720p (or even 540p). Thus most Bluray releases are indeed upscales from a lower-resolution master, usually made by a company other than original production studio. Resolution of master is dependent on studio and even project, good example will be Sunrise projects such as Planetes (2003) and Gundam SEED (2002-2003). While Planetes was authored in high resolution, Gundam got only SD master and is currently being prepared for re-release in HD. Not only master resolution, but cel resolution determines the clarity of images. Some studios take special measures to improve cel quality, such as Kyoto Animation, who moved to bigger paper size with Kanon (2006) to vastly improve detail for HD master. JC Staff scans their cels at 188dpi 1440×900, while Production I.G. seems to use 540p. P.A. Works seems to be one of the few studios who use 1080p workflow on their projects. Note that cels of given size are “pixelated” most of workflow to facilitate easier processing and paint, cels are smoothed (antialiased) before compositing using special algorithms. To prepare video master for BD (re)release, studios can use either Q-Tek or similar upscale solution, which simply interpolates the whole image and applies various filters, and result would usuall be blurry and unpleasant picture. This shameful practice to re-release SD-era anime is used by JC Staff (Shana, Toradora to name a few), Ufotable (Kara no Kyoukai), Kyoani (Haruhi, Lucky Star) and countless others. Another approach is to actually produce a remaster of original series (Sunrise, Gonzo, Seven Arcs, some Kyoani releases etc), which usually results in much clearer picture, but cel and 3d effects upscaling is still present. With pre-digital era anime situation is different, for a proper BD release such titles have to be completely remastered (with soundtrack re-recording/re-mixing in some cases), examples of good releases are Lain and Nadia. Because film is re-scanned, resulting image is much clearer than original telecine, with fixed colors and exceptional detail. This is the method used to produce BD and (earlier) HDTV masters for Ghibli films and other “old” anime. When discussing the level of detail in old anime, people usually remember the best feature films and OVAs, but in fact different anime was filmed on different film formats back in the day, so level of detail varies there as well. Modern 1080p re-masters capture sufficient detail to re-produce original cel quality. Digital 720p masters can be considered slightly inferior in terms of detail, however 1080p is on par and even better than old film masters due to inherent “clean” look of digital medium. Also, keep in mind that Japanese market is rather slow, and BD started seriously outselling DVD only a while ago, thus many studios usually see no merit in producing ultra high-resolution masters, and we’ve yet to see full capabilities of true HD digital workflow. Thanxxxxxx!!! !, Ive been dying to find this out. 2. Another on average question. How long would you say an episode would take from the time meetings take place, to the time the episode is finished? Around 20, maybe more. You can check the credits of an anime by looking at how many names are under the heading 原画. Well Storyboards take a few weeks, and the script would be completed before the anime starts generally. It really depends where you would say the production starts. Pingback: Анимация и 3D графика / Как создается аниме by SOS Admin! Here’s something I don’t really understand. If all the frames are drawn and then digitally ink and and painted on computers, then why do so many modern animes in my opinion have weird or just plain wrong colours, for example in Gurren Lagann all the shading is very dark & grey even in a bright area which looks cheap it reminds me of Flash where you can make a shadow by using black at 50% alpha on any colour. And penmanship why do so many Modern animes have uni-formally thin lines which again I think looks cheap it’s something else I did in Flash to make shape & motion tweens easier. Also you never mentioned how background art is made and I’d really like to know if there still hand painted or just Photoshop because that really put me off when I was watching Paprika. Backgrounds are often painted digitally these days, but I think sometimes they are not. It should be pretty clear just by looking at it which is the case. 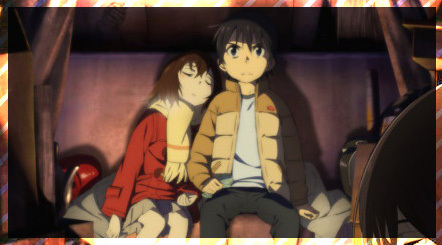 I would say the majority of TV-anime use pretty ugly and stock-standard digital painting techniques on their backgrounds. Thanks for sharing this. What an Amazing read! Very well compiled. Thanks for all the comments. I’ll probably do a revised version of this soon with more detail. Thanks for the contributions too. But what about the lines. I don’t understand why there traced over so lazyly. Is it a time saving method. And shading, even in OVAs & film I see just just lazy silhouette for all over the character for shading. I don’t know what you mean, sorry. Where is this laziness you speak of? A character closer to the camera should have a thicker outline because it helps create perspective. Also lines for the character with the same thickness all round looks fake and unnatural. That’s what I mean by cheap, laziness. I hope that you understand what I mean now. This is curious, I happen to know almost nothing about digital software used on these matters, indeed, I happen to be very very new in drawing, but I’ve been living in an arts conservatory since I was 4, mainly focused in music performance, theory and compositing, and lately started adventuring into the graphic arts and found Japanese animation to be the most aesthetic and passion-reflecting commercial art form that exists. I think I understand the basics of the principles you’re mentioning and do not deny their presence in anime, but don’t you think this actually serves the particular art style subject to Japanese animation? It makes it more aesthetic rather than realistic, and somehow, this is one of the most appealing elements of anime. Process what you read and saw in the videos: are there more dedicated and passionate animation artists than those found in the Japanese animation industry? This isn’t the first website I’ve visited concerning this matter and I have repeatedly found the fact that they use to work 14 to 16 hours a day and their average revenue rarely surpasses that of a normal professional working half of those hours. So even though I am not in a position to start a discussion about drawing/animating techniques, by simple logic I seriously doubt that such a staff really falls into those mistakes because of “laziness”. As artists we have that irremediable obsession for perfection that doesn’t allow us to perform a mediocre work, regardless of the energy or mood one has, and if the toughness of the anime production demands and the poor remuneration doesn’t keep them away, they have to be true artists. im happy to say thank you brcause, im reseaerching this job and its helpin galot thst its in english so thank you. Thank you so much for the guidance. I want to introduce the business in my country because there are many artst who very talented(including me) that end up not being recognised. The guidance would help me change the way artists are viewed in my could, I’m sure of it. Well I have a quastion… If in case that I would wanna create an anime serie or something, you gotta do all these steps ?! 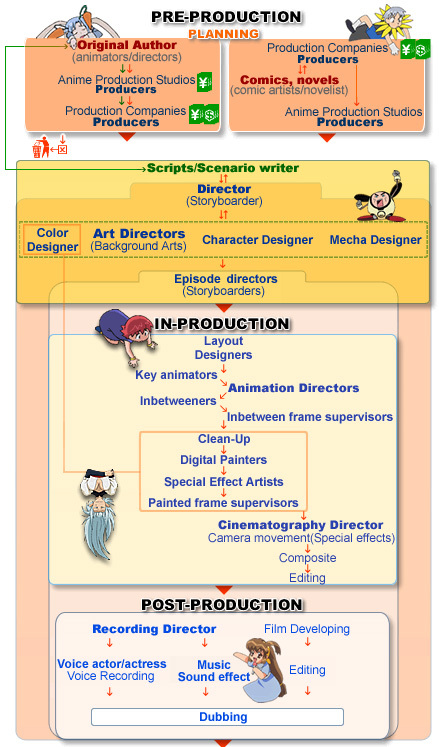 This article just explains how an anime is produced by an animation company. If you’re just going to make a fan/personal animation, basically what you’ll need is a drawing and animation program and of course a lot of creativity to be able to make the desired drawings and cool animation sequences. Then you can post it in fb or youtube for online viewing(and if you’re aiming for a fanbase:p). Hope this helps. I made a new anime and i have such a big vision for it mixing early technology with ninjutsu the star has a kind of iron man suit that is generated by his chi the only problem is that its hard to make this anime properly without the right resources I know this is the next big thing but if you would like to check out my starters work you could come support and check out this knew upcoming action anime mixing urban hip hop with ninjutsu and Chung fu search on youtube (TENS unknown saga bb Ep.1-3) choose your ninja and let us know who’s storyboard you would like to see next as well as the rest of Blood Baths storyboard Ep.4 thank you. 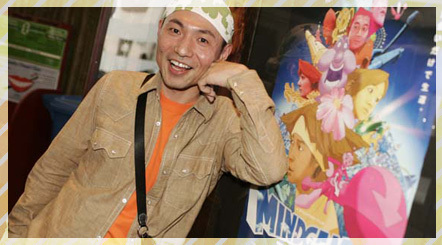 See also Animation Runner Kuromi and Animation Runner Kuromi 2, which depict the workings of a fictional anime studio. Lastly, Megumi Hayashibara’s (yes, *that* Megumi) manga Ashita ga aru sa: Sweet Time Express (AKA Megumi Toons) is an autobiographical look into the seiyū side of the anime business. Just a small correction: standard PAL is 25 fps, not 24 fps (there is a PAL/60 (60 Hz/30 fps) variant), and NTSC is 29.94 fps (precisely 30 * 1000 / 1001). 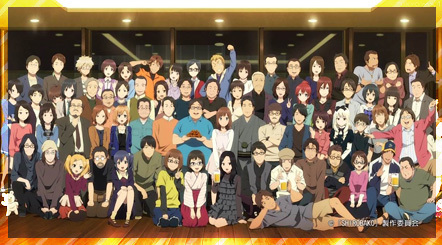 AniPages Discussion Forum—Peter Chung joins in a forum thread and discusses anime and the differences between the Japanese, American, and Korean animation industries. I honestly liked how anime looked pre-computer usage. Take ‘The Big O’ season 1 and 2. S2 has a more ‘blurrier’ look, with less defined lines that make it so that everything is animated better and looks more fluid, but lacks the detail of season 1. I understand that strides have been made during that leap during digital cel techniques have been perfected, but there’s nothing like pausing something like Outlaw Star and feeling like practically every single pause is a screenshot since almost everything is hand drawn and colored in. certainly like your web site however you have to take a look at the spelling on several of your posts. A number of them are rife with spelling issues and I in finding it very bothersome to tell the truth nevertheless I will certainly come again again. thank you! someone has finally made a guide that makes sense, and has everything you need to know! keep up the good work. i’ve been trying to find out how they make anime, but i could never find a good page! I Dont have much time to read with work and everything, Mind making some vidoes so i could practice on the weekends, im close to losing this job and i am going to be an anime writer and producer and making all the drawings, step by step, than get alot of people for vioces like misty from pokemons vioce… or Gill Diort Wish me luck! hi dose anyone know if there is gonna be a kaichou wa maid – sama season 2 ??? i will be glad if somoeone replay. Make money quick working at home! Assemble moving boards and rent them to others! $125 per hour revenue! Start Now! Anime News Network’s Answerman! column has answered this question at least once in the last year or two—I recommend you search the site. yeah what is the software ?? So basically without money you can not really “start” your own anime series / show. But look I can draw very well, and edit very well, can you point me in the direction of where I would need to go, to actually help produce the show, with movements and etc. I would like a reply soon since this is my last year of secondary schooling and I would want to go right away into this career as my soul and brain both lead me towards it. First step, learn Japanese, every single expert on the matter will tell you that, at least if what you want is specifically anime. As I understand, Japanese studios will rarely bother to translate instructions to english and do not even consider the meetings… Learn Japanese and you’ll get a better insight of the industry and doors will start to open. A Mexican animator currently animnating and living in Japan went trhough a very similar experience than that of yours, and he explicitly states that the language is the very first barrier to overcome. Search for his devian art profile: Titanomaquia, he has an english version for most of his posts. Yes, try to learn Japanese. Also try get in contact with people like BahiJD, who is a foreigner who has become a key animator in the Japanese industry. Experiment with movement a lot yourself and try to imitate animation styles of others. I have no experience in animation production so I couldn’t help any further. 1. First and foremost the digital medium reduces some timing problems, thanks to the sophisticated tecnology. 2. With a software like Adobe Illustrator you can create a digital library that contains all settei and line art backgrounds. You can upscale and downscale without a loss in image quality because illustrator is a vector software. 3. The layout process can benefit from digital software, editing anytime with powerful tools like crop image(photoshop) and illustrator. 4. 3D-toon cel shading animation can help a lot the animation process: Maya, 3ds max ecc. Makoto Shinkai’s works are an example of digital film. The problem is that japanese industries are not yet ready for “shifting the medium”, because most of the talented animators are from the “analogical era”. But in the future things will be different. One note: i think that most studios doesn’t give enough attention to the writing process. The subject and screenplay contain everything: story, scenario, plot, dialogue, even camera works. If an anime fails in the script is game over and nothing after can hide all the structural problems. You’re right that there are some benefits to the digital medium, and its use is spreading within the anime industry. In a lot of studios animators can do their drawings either on paper or digitally but generally these will end up being printed for the animation director to correct just as they would a hand-drawn frame and they’ll also be retraced for clean lines by in-betweeners. Typically, when animators draw digitally, they still fit into the analog system rather than there being a true digital approach in place. Hi! I’m glad you dropped in. Would you please be so kind as to approve (or reject) my first comment (#43, posted on August 12, 2012)? 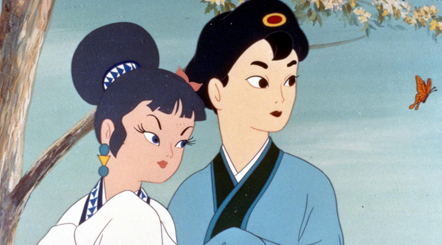 Do you know which program the digital colorists use to color their cels. Do they use Flash or Photoshop? Or something else? Hello we are a new anime studio based in America who would be willing for young animators to start their careers (However since we are YouTube based probably no pay). Please visit our YouTube page for information on future/planned anime we are currently working on also send us an email if you are interested in applying. I wanna be a anime tor……how be a anime tor can u tech me. a “premier”, as well as the third can be a “business” account. however, you’ll still should do the research to verify work or business opportunity’s legitimacy yourself. The message above is spam—delete and ban. Thanks! i found your article informative, i always wonder how the anime is made. i thought they use for entire production is computer. thanks! What’s up, after reading this remarkable paragraph i am too happy to share my familiarity here with friends. What is the difference between a “Chief director” and a normal “Director”? Here is an example. http://anidb.net/perl-bin/animedb.pl?show=anime&aid=8742 Who is “more” in charge? Whom do I have to love for how well composed the episodes were? first of all thanks for the fantastic article. since you mention Railgun: Are the backgrounds in Railgun 3d models, or are they handpainted? I ask, because I noticed that the backgrounds are using diffuse shading and do not have black outlines, whereas the characters and props they interact with use toon shading and do have black outlines. So I wonder whether this is merely an artistic decision, or whether this due to the creation process/tools used. I’m currently under the impression, that the backgrounds are created in some completely other way than the characters. Is this correct? Can you provide some detail on the how and why of this? I guess I’ll just stick to 3D animation… Though this is without a doubt cool. or, they are just making it by computers? cool! but how do you come up with a character? Awesome article, I really got some. Thank for you kindness. This knowledge is use full for interested people. Thank you! Thanks a lot for this useful knowledge. Here’s a great blog post about the process used in Japan to create professional anime. It’s very informational. thks for the the great article about anime I learnt alot from your article I have been dying to know about how anime is made. Good post. I learn something new and challenging on websites I stumbleupon on a daily basis. It’s always helpful to read articles from other writers and use a little something from other sites. Thank you, thank you, thank you! Though I didn’t understand a lot of it, I learned a lot too! You might’ve saved me from getting a F on my report card in writing, lol. Though it was great and all, I personally suggest you lower the vocab so elementary kids can understand this. I’m sorry, but honestly, I really didn’t get, though I am still thankful you made this. Also, I suggest you add some pictures so we can understand better. Again, sorry, not trying to offend you, but my knowledge is very limited right now. Last thing, I think you might want to get rid of some unnecessary things that you might of overlooked. I’m not say get rid of, like, everything! But maybe something here and there. Please do not take this as offense, I liked this very much. Otherwise, I’d be a person with two right feet, hopelessly walking in circles searching for information on this stuff. Again, thank you, I am very grateful for this, and thanks again! Can I simply just say what a relief to find somebody who truly understands what they’re talking about on the web. You certainly know how to bring a problem to light and make it important. More people need to look at this and understand this side of the story. I was surprised that you aren’t more popular given that you most certainly have the gift. Can you please post something about backgrounds? So if i wanted to make an anime what position in this chart of ranks would give me the most control over it and give me position of the creater,and if so the collage/university course i need to do for that particular position, and am also asking for some pointers on somethings i might need to know,i would apriciate your reply and it would mean so much to me,thanx! tales of symphonia the animation is digital or pellicule? Hello,how made anime hd remaster,please ? This is the best article I’ve read regarding the animation process. Thank you. Hi czaraki. I understand where your teacher is coming! There is a wealth of information for this topic on the internet, but unfortunately it’s almost all in Japanese, which probably won’t be a lot of use to you. I did list a couple of links which should fit the bill as ‘credible’ sources. Thank-you so much! I knew I wanted to be an animator for anime and see some of my ideas come to life (hopefully), but when my friend showed me this, even she decided she was going to do this with me. THANK YOU SO SO MUCH! Very informative! I loved it! This was amazing to know and it shows the hardship on how they do it but i also want to know where do you go to get another season of your favorite anime that has ended ? visiting this website dailly and take pleasant data from here all the time. Hiya! Just stumble across your blog and it’s fantastic! As an animation student, the process to create animation that we are taught is somehow what similar, however usually after the script and storyboard are finalized, voice acting is recorded first for the timing of the animation. Then a rough animatronic (the raw Genga birdy) is procure in order to edit/cutting down/modify scene early on before approval. These two early moves saves a lot of time and work. Then proceed to polished key animation n in between, insert music n sfx, final editing n viola! Animation! but still i have a question left: where are anime first released are they aired on tv first or uploaded online? much more well-preferred than you might be right now. You’re very intelligent. subject, produced me personally consider it from numerous varied angles. He was once totally right. This post truly made my day. You can not consider simply how much time I had spent for this info! The colored pencils are used to indicate what color the cel/finished art is supposed to be. IIRC the color schemes are highly individual to each studio. One of the links in the blog entry or in my first posts should have the details. So,is it hard to do an anime and how long it takes for…maybe 25 episodes!? 1.If i want to make an anime,can I do it without manga!? 2.I don’t speak Japanese,so Can I make an anime without knowing that language!? How about when Adventure Time’s own Land Of Ooo’s life changes by a flourishment of Humans And The Armies of Finn’s evil advarsaries. PS. forgive me for the intrudment. Hi washi, thanks for all the info, really helped me. Just wanted to know what software do they use to make anime’s? PS or some other? Can I have fast reply please and again thank u!! @rassh it’s in the article – Retas is the software bedrock of the anime world. If I may ask, where did you get this from? I don’t think that figure is correct and unfortunately it’s so long ago that I can’t even begin to remember where I found it. I’ll be working on a new version of this post sometime shortly. Great article. A question though. At what stage are the dialogues recorded? Can’t be right at the end in post production because some amount of lip sync is done right? Shirobako, the anime show about the making of an anime show, mentions two dubs that happen.. Perhaps one before the animation is done and one after for fine tuning? This is such a helpful tutorial of how anime is made! I thank you so much so sharing this! Thank you! Thank you! Thank you! Awesome blog. Thanks for sharing it. To know more details about animation production company feel free to visit Brandepix blog. Very useful information about animation. Suddenly i saw your blog and i bookmarked it. Awesome blog about animation. To know more details about animation and video production please feel free to visit brandepix blog. excellent article, is very helpful, comprises a lot of info , it was resources, thanks for putting this together! I must express appreciation to this writer just for bailing me out of this dilemma. Right after surfing throughout the the net and meeting strategies which are not powerful, I assumed my entire life was done. Existing without the solutions to the issues you have resolved by way of your entire review is a critical case, and the kind which may have adversely affected my entire career if I hadn’t discovered your blog. Your capability and kindness in dealing with all the details was very useful. I don’t know what I would have done if I hadn’t encountered such a solution like this. I am able to at this point relish my future. Thanks a lot very much for your skilled and result oriented guide. I won’t think twice to propose your blog to anyone who would like tips about this topic. Good post. I study something more difficult on totally different blogs everyday. It will all the time be stimulating to read content from different writers and practice slightly one thing from their store. I’d want to make use of some with the content material on my blog whether or not you don’t mind. Natually I’ll give you a link on your internet blog. Thanks for sharing. My Partner And I really intend to share it with you that I’m just novice to writing a blog and extremely adored your article. Quite possibly I am prone to bookmark your blog post . You undoubtedly have fantastic article stuff. Acknowledge it for expressing with us your domain document. Thank you so much for this information! Now i really know what i need to practice on to get to a new level of animation than the level i am now :) actually i thought japanese animators used flash or something to animate but now that i think about nothing beats the old fashion drawn by hand xD. I started using flash and it was actually a bit complicated to draw like the face and what not and trying to make it move without making it look untidy or make it move a bit jittery if you know what i mean. I practiced drawing stickman on it and of course it was smooth since you dont have to put any detail on it… And quick question!! (sorry if this is long) but I was wondering do they draw each frame and scan it onto the computer? I’m not sure if i read it right.. and also is there a program need to put it together? OMG!This is amazing!Thank you very much for the iniciative!Is been a long time since you post it,but still is the most complete and easy way to understand this topic! Thanks buddy ..I got what I was searching for! Thank you so much! I really got some extra things that I can add to a report! Thanks again! Hello! I am making a short summary about animation at school, I was just wondering if I could use some of the information you wrote down. I know it’s rather silly to ask considering a lot of people have already taken most of the information without asking but consent is everything to me. On another note I really enjoyed your article! I’m currently doing a media assignment and this was way more then useful! Thank you so much I will be sure to give you credit! I’ve always wondered. What was it that Sponsors got back from investing in anime? Pingback: The Writing of Okada Mari | Mezashite! Great article! I’ve always been interested in doing anime animation! Hey, is it possible to get a job in Gainax? Hi DocWatson, I know that the anime industry can be a hash place, but is it possible to actually get a job in such a studio? My dream is to work for studio Gainax, but i dont know if they hire people at all. Great post, very interesting and well explained. Thank you, now I have a clear idea of how the process works. Anime production is not a kid type work. It needs huge experience and lot of hard work. Especially animated explainer videos want many creative and imaginative minds. I’m great fan of anime series. I used to write stories. I showed those to my friends and they suggested me to make anime on this but I don’t know to whom I should contact . From many times I tried but got no response from others .I have only hope left from you. Please suggest me to whom should I show my story and to whom I should contact. Reblogged this on Art Foundation 2017. Pingback: Comment on fait un épisode d'anime ?